1. The Bill for Ireland and Scotland for Fishing. 1. 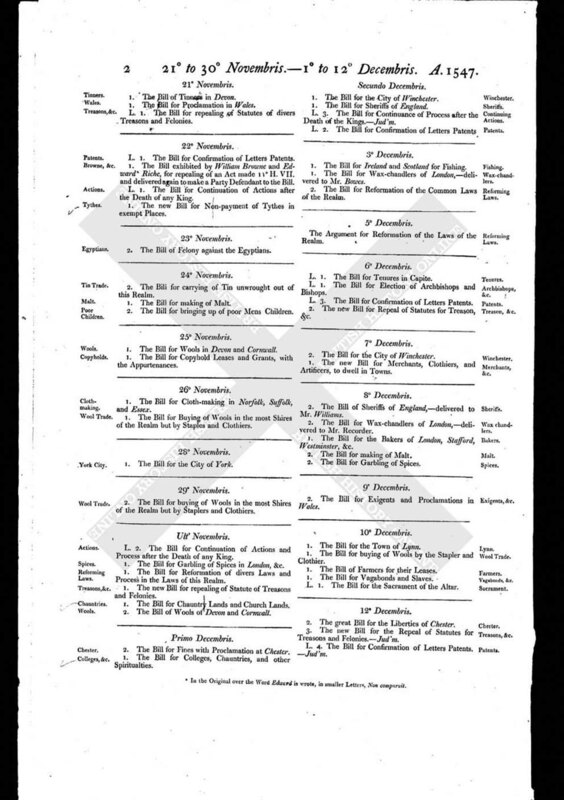 The Bill for Wax-chandlers of London, - delivered to Mr. Bowes. 2. The Bill for Reformation of the Common Laws of the Realm.